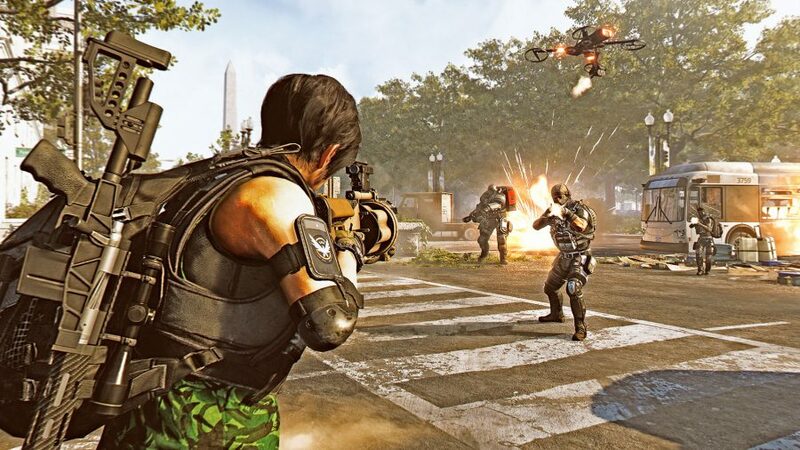 It’s better to think of The Division 2 as an iteration on the first game rather than an overhaul. Two years of post-launch support for the first game have improved it immeasurably, leaving Ubisoft and Massive Entertainment with the task of releasing a sequel that incorporates all of those learnings while still changing enough to get new and old players excited about the series again. Changing the setting from snow-covered Manhattan to muggy midsummer Washington, D.C. is the most obvious difference between the two, but look deeper and you’ll find countless subtle tweaks that aim to make the process of looting and shooting as engrossing as possible. Meanwhile, sweeping adjustments to the way health and armour work, more skills and skill mods, new progression mechanics, and some of the slickest UI design tell the story of a developer who is clearly in tune with its core players. 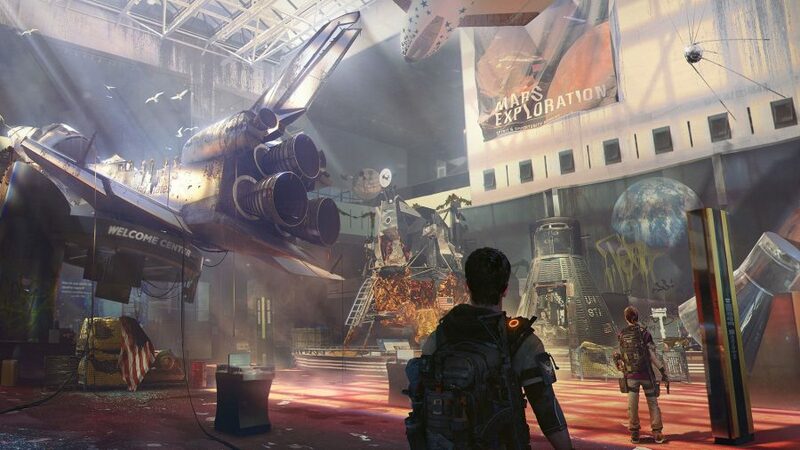 We sat down with creative director Julian Gerighty at a recent press event for The Division 2 to learn more about the tactical shooter, from expanded character build options and balancing, to ramping up efforts on endgame with raids. PCGN: How have you tried to expand on the first game’s character build options? Julian Gerighty: First off, we’re going to give players much more control over the creation of their characters. In the first game you could only choose your head, some scars, and some sunglasses that you can never remove afterwards. Here, we’re giving you sliders so that you are able to define tiny things about your character, so the person on screen really looks like who you want to play as. Of course you’ll have a lot of vanity options so you can change things like piercings, glasses, facepaints, and clothing, too. When it comes to the character build, we’re focusing on the gear pieces and the weapons. You can have mods on your gear pieces, but also on your weapons, so just like in the first game, there’s a huge amount of depth available to people who want to take part in theory crafting with their build. This also applies to Talents, which you can unlock by completing certain achievements. Our aim is to keep the same depth of the first game but to make it slightly more accessible. Is that accessibility through additions like brand sets? Yes, which add bonuses as well. Are Talents random rolls or can you learn them and apply them throughout your inventory? So Talents are randomly rolled, but then you can reconfigure your weapons, too. Is that so you can keep using a gun you love all the way into endgame? I love that question, because I have exactly the same problem where I find a weapon at level 15 and it becomes fairly useless very quickly. What you can do in this circumstance is use blueprints, which you can unlock by completing certain projects in settlements, and you can bring those blueprints into endgame so you can keep upgrading your favourite weapon. I can foresee players spending a lot of time in their inventory swapping out weapons and gear for the best build, do you think you’ve struck the right balance? Well, today with this build, I’m finding that too much gear is dropping in the game and there is too much loot in general. I want the gear that drops to feel significant for you. At the same time, crafting is also going to be very important, so we want you to be deconstructing all of the items you don’t want, but a lot of people tend to hoard items, so it’s difficult. I don’t have a certain answer, but we’re trying to make the loot that drops more relevant to you. 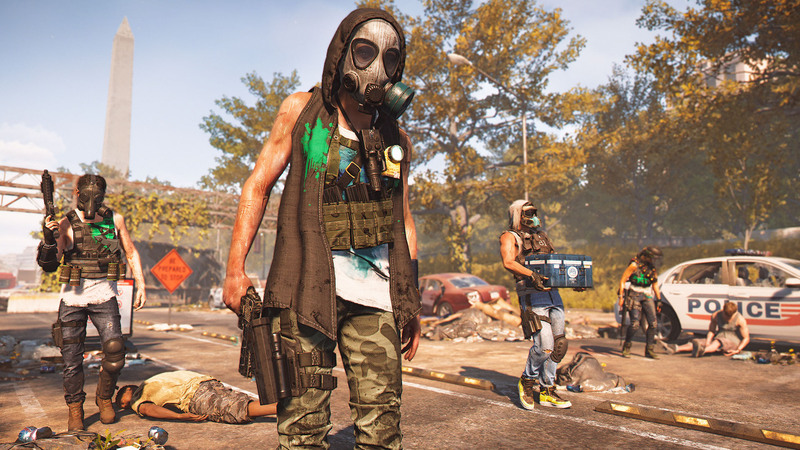 Are character builds still going to be important in The Division 2 despite gear being normalised in the Dark Zones? Absolutely, 100%. I don’t think we were clear on what normalisation is. Your character build is incredibly important in the Dark Zone – it really does matter. All that we’re doing is squishing the peaks and troughs of that theory crafting and min/max building mentality, but your build is still really important and will make a difference. And then you have the Occupied Dark Zones, which is the Dark Zone with none of the normalisation applied, where friendly fire is on, and everything is high risk, high reward. The build tinkering in there is going to be incredible. So we could still see one-hit builds and tanks in The Division 2’s PvP? Yes, absolutely. The Occupied Dark Zones only appear and rotate between the different DZs weekly once you hit max level. What did you learn from The Division’s endgame that you’ve applied to the sequel? The first part of the answer to this is that we didn’t have a great plan for the endgame with The Division 1, and it was only when patch 1.4 came out and we added things like world tiers and gear score did endgame come into its own. For The Division 2 we’re launching with a really fleshed out endgame, which is not just the Black Tusk faction and invasions, it’s all of the other activities and faction strongholds as well. On top of that you’ve got the jewel in the crown of endgame activities, which is the raid, which comes out very soon after launch. We’ve played missions today that take up to an hour to complete, so what kind of scale have you got planned for raids? Much, much bigger, but it’s also very different conceptually. Raids really lean into coordination between teammates, and this is the first time we’ve had eight players working together in a challenge. Plus there’s a puzzle element that’s super fun to work out and try to crack. Has it been fun experimenting with a new mechanic like puzzling? Well, the last Incursion that we did on The Division 1 was Stolen Signal, where you got your first taste of that kind of puzzle mechanics. The same team that worked on Stolen Signal are working on the raids for The Division 2, so they’re pushing it much, much further. The challenge is to find a credible and realistic slant on raid mechanics, but there will have to be some suspension of disbelief. It feels like skill is more important in The Division 2, whereas having the best stats was key in the first game. Was that an active decision? We wanted to create something that felt more credible, but also that felt more like a shooter. This also reduces the bullet sponginess of the enemies. It’s no one thing, but time-to-kill is reduced for both you and enemies, there’s the armour stat instead of just health, animations are localised and reflect where you hit targets, armour chips off and flies away. We’ve worked on a lot of things to make it feel instinctive and intuitive as a shooter. Breaking down the armour on the tanks feels amazing. The weak points I think transform the game further. It’s so much fun aiming for the grenadier in a group of enemies, hitting their pouch of explosives, and watching the bodies fly everywhere. What kind of approach will you take to balancing gear and weapons, especially for PvP? We can balance on the server side, so we don’t have to do a client-focused patch. If something is imbalanced we’re going to have to deal with it and take care of it, but we can do that fairly quickly and relatively now, which is a major change from the first game. Are you expecting players to break builds fairly quickly? 100%. I have thought about this a lot, but it doesn’t matter if we test the game extensively with huge test teams in Bucharest, pro players, and internally, there’s no comparison to giving the game to over a million people and letting them play it. Things are discovered straight away so we just have to react. What can you tell us about the endgame faction, Black Tusk? Nothing. We’re trapped, because it’s a narrative and gameplay hook that we want to leave there for the endgame. It involves a huge change to the map, it adds all of the main missions into the living world, so you can walk down the street and see Black Tusks dominating the Hyenas or Outcasts, but we still want to keep them as secret as possible. Narratively, I can’t tell you much. Is it a story that will unfold over the course of the game’s first post-launch year?